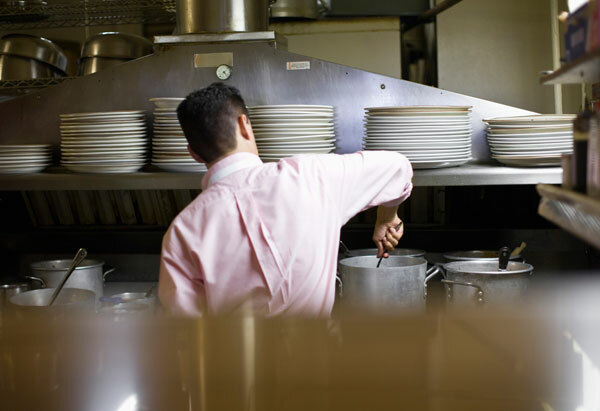 Food poisoning lawsuit in Maryland – Can you sue a restaurant? Food poisoning cases are quite common, some even making headlines. According to the product liability law in Annapolis, bacteria and potential viruses that may cause food poisoning include Hepatitis, E. Coli, Listeria, Norovirus, and Shigella. When a restaurant caused a customer food poisoning, the restaurant may be sued under common legal theories like strict products liability or negligence. If you suffered food poisoning in a restaurant, you should contact a personal injury lawyer from Maryland and receive compensation for your suffering. In this article, you will learn how a food poisoning lawsuit in Maryland works and find out about your legal options as a restaurant customer in case of food poisoning. When it comes to food poisoning, the restaurant can be held accountable for failure to exercise reasonable care in preparing and storing the food. In the case of a defective food product, they may be found strictly liable. With the help of your Annapolis injury lawyer, you can determine what is the cause of your food poisoning and receive food poisoning compensation in MD. Under the negligence principles, all restaurants have the duty to exercise reasonable care, meaning that a restaurant has to maintain a safe environment, eliminate unreasonable dangers, and produce safe foods (meals). If a restaurant breaches their duty to the customers, they can be sued with the help of an Annapolis injury attorney. In a negligence case against any restaurant for a food poisoning case, the plaintiff has to prove that the restaurant’s unsafe food caused their food poisoning. In many cases proving that the restaurant’s food caused the plaintiff’s illness could turn out to be difficult. The plaintiff has to be seen immediately by a doctor to determine the exact source of the illness. The plaintiff also has to prove injury or harm, but getting sick satisfies this condition. The products liability law in Annapolis states that in contaminated food cases, the plaintiff has to show he suffered food poisoning as a result of consuming defective or unreasonably dangerous food from the restaurant. The restaurant can be held liable under products liability if they served contaminated food. Everyone in the chain of distribution may be sued, including the wholesaler, food distributor, retailer, and manufacturer. With the aid of your Annapolis injury attorney, you can prove the liability of the restaurant and receive food poisoning compensation in MD. Food poisoning cases are quite common and, in most of the cases, the restaurants are found liable. But this does not mean that you should immediately sue without consulting with an Annapolis injury lawyer. Your attorney may recommend you to get checked by your doctor to determine the cause of your food poisoning. For more information about food poisoning and to receive a free consultation of your case, contact the best personal injury lawyer in Maryland at (443) 569-3950 or by email at [email protected].